Founded by Laurent Denis and his wife, Monique Vaillancourt, in 1998, DENIS CIMAF specializes in the development of high-performance brushcutter-mulcher attachments for excavators, skid steers, forestry tractors, graders and other types of heavy equipment. Morbark LLC announced that it has completed the acquisition of DENIS CIMAF Inc., based in Roxton Falls, Québec. This transaction represents the company's second acquisition since private equity firm Stellex Capital Management LP acquired Morbark in 2016. The acquisition of Rayco Manufacturing in October 2017, brought a lineup of innovative equipment into the Morbark family across multiple product categories. In particular, Rayco stump cutters, aerial trimmers, forestry mulchers and crawler trucks. 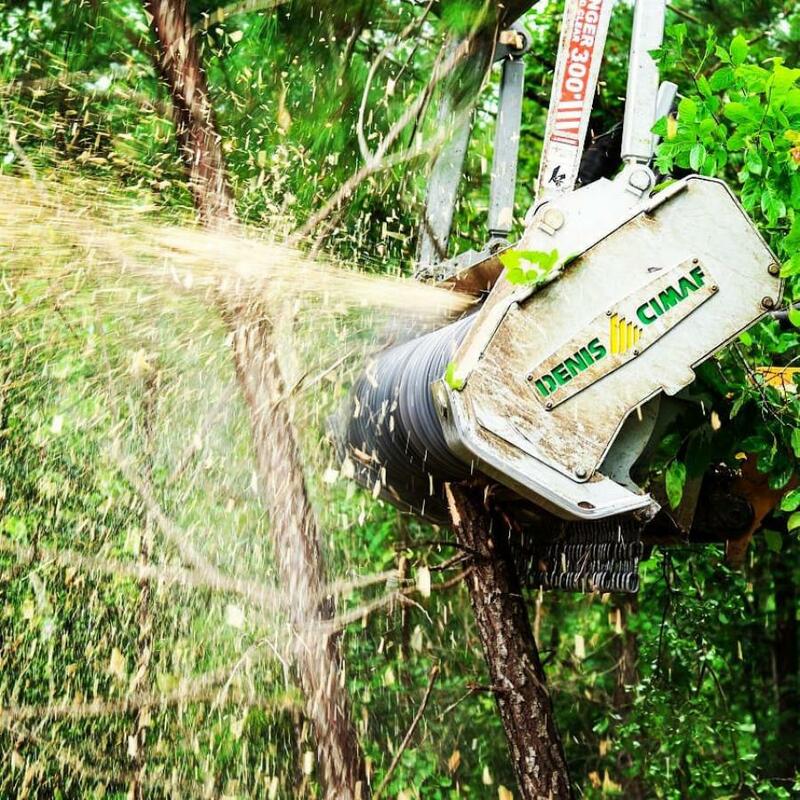 The purchase of DENIS CIMAF is another step in the company's strategic focus on broadening the range of tree care and industrial equipment, aftermarket parts, and service offered to their customers. "The DENIS CIMAF team and I are extremely excited to be joining the Morbark family," said Benjamin Denis, the newly appointed general manager of DENIS CIMAF. "DENIS CIMAF is a fantastic business with committed and passionate associates, a great track record and enormous global potential. Being part of the Morbark family will enable us to continue to grow the business farther and faster." Dave Herr, CEO of Morbark, said, "DENIS CIMAF's line of attachments are complementary to our current tree care and industrial product lines. In fact, DENIS CIMAF mulcher heads have been an available option on our Rayco carriers for many years. The company's patented mulcher head design has enabled them to become a the mulcher head attachment of choice among intensive vegetation control, land clearing, roadside transmission lines, pipeline maintenance, and forest fire prevention contractors." Benjamin-Pierre and Simon Denis, sons of DENIS CIMAF founders, Laurent Denis and Monique Vaillancourt, will continue to lead the DENIS CIMAF team to develop new products and help improve the company's existing product lines. Morbark will operate DENIS CIMAF as a new division maintaining its brand identity. DENIS CIMAF's experienced management team will continue to manage its operations. Teams from each company will work together to determine how to be more efficient and leverage each other's strengths. Herr said, "The companies have a common entrepreneurial heritage and culture, and this is a great fit with immense potential for growth. We are anxious to get started." Morbark, LLC, based in Winn, Mich., has been innovating and manufacturing equipment for more than 60 years. Morbark's family of companies and equipment helps customers to process and convert waste wood and other organic materials into sellable end products. The company and its affiliate brands, Rayco, DENIS CIMAF and Boxer Equipment, produce a full line of brush chippers, stump cutters, mini skid steers, forestry mulchers, aerial trimmers, whole tree and biomass chippers, flails, horizontal and tub grinders, sawmill equipment, material handling systems and mulcher head attachments for excavators, backhoes and skid steers. Sales and aftermarket support are conducted through a worldwide, authorized dealer network. For more information, please visit www.morbark.com.